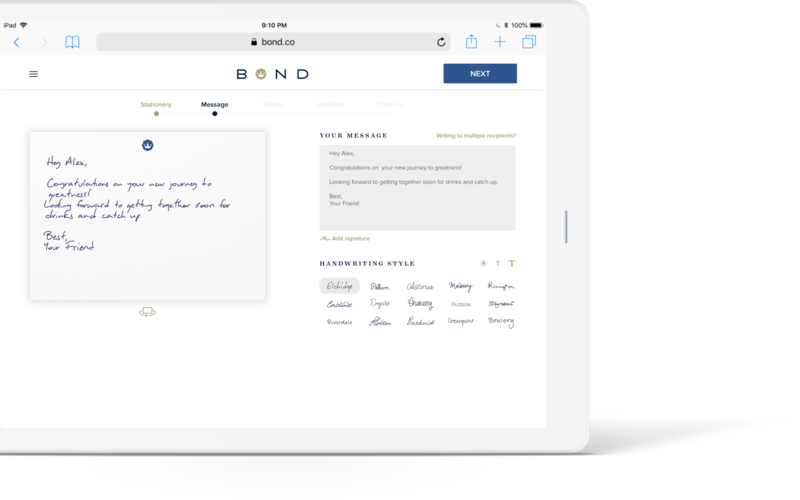 I led the UX/UI design team at Bond.co that allows users and businesses to write and send physical notes through their web and iOS apps. 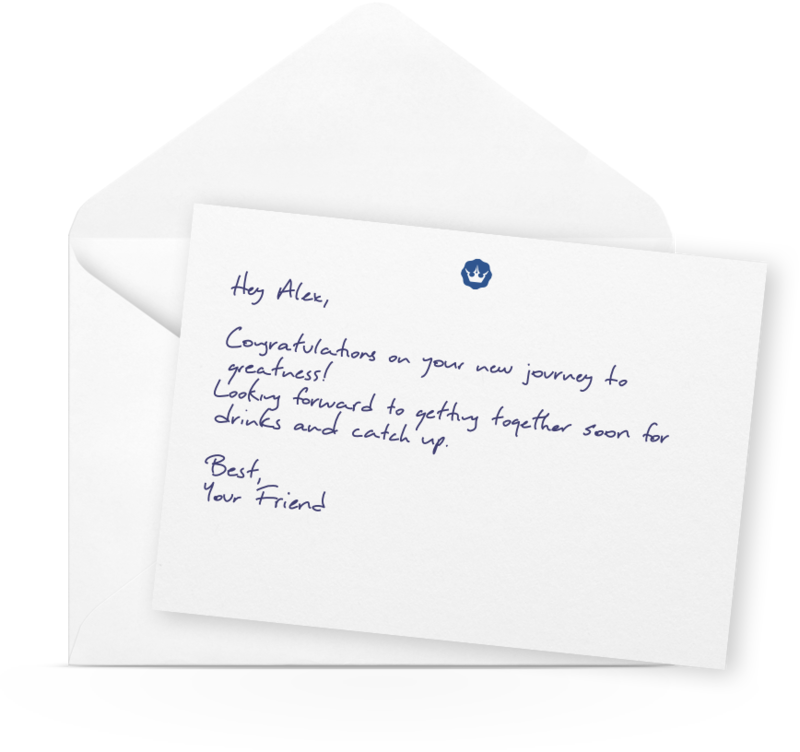 As text messages replace the novelty of paper & ink every other day, Bond brings back the thoughtfulness of handwritten notes with its digital platform. 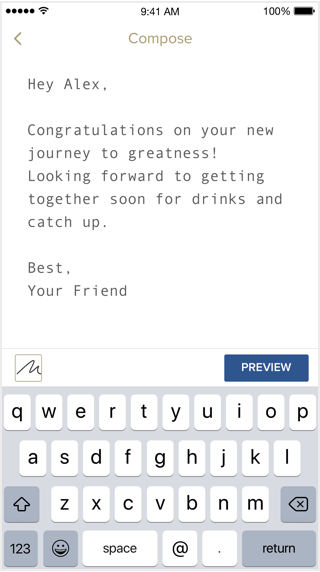 Users can use Bond to send a note in less than a minute. 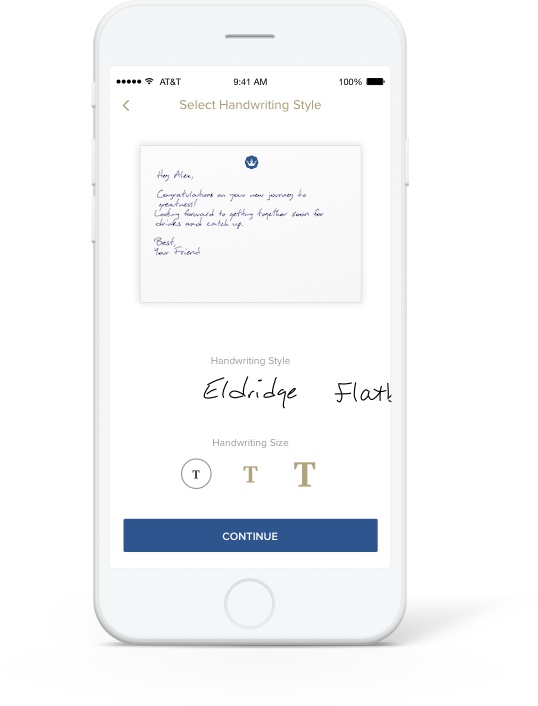 Bond’s handwriting specialists digitize their handwriting, and Bond’s custom-made robots write the note on personalized stationery, which is stamped and mailed the same day. 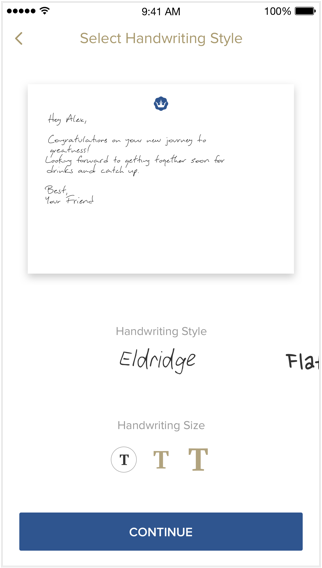 As we merged technology and physical communication in this experience, I utilized the basic affordances on sending a handwritten note to create the most natural user flow online. 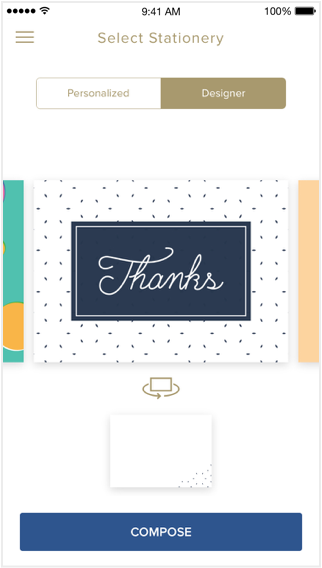 Scalable architecture also enabled additional features for business customers to create campaigns, write dynamic messages with mail merge fields, and send notes to multiple recipients at once. 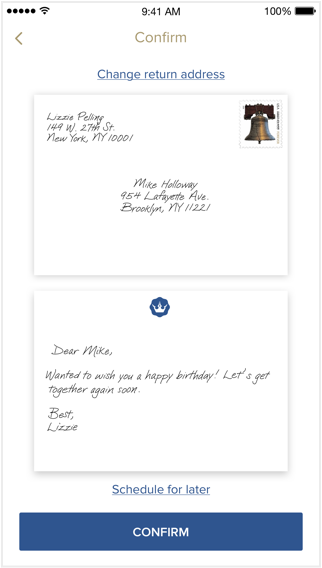 Behind this simple experience lies a very sophisticated background process: As the user hits "send" button, a custom stationery is ordered, handwriting is digitized, a note render is generated, QA’d, written by our robots, and shipped to the recipient. To accomodate this flow, we also designed Skyfall, our internal administration platform for multiple internal stakeholders to follow through and complete this process. Research, design, prototype, test, develop, launch. In this fast-paced startup environment, my team applied a complete user-centered design process while launching products within very short timeframes. We created dozens of high and low fidelity prototypes, and conducted a variety of online, offline and 1-on-1 user tests with over 50 participants. 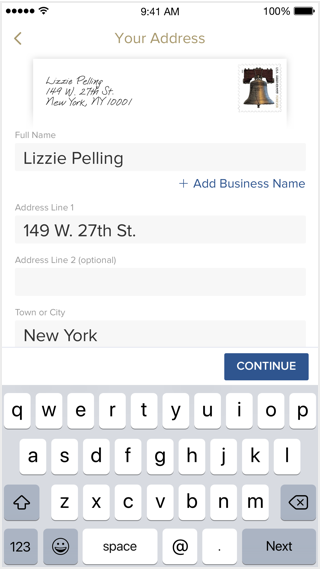 Through this process, we designed the most natural flow that lets users navigate this multi-step process. We also validated many internal ideas and communicated the nuanced transitions to our developers with detailed prototypes.